Can The Adults’ Friendship Survive After The Children’s Friendship Ends? Two questions came in recently dealing with children’s friendship dilemmas when the parents are good friends. Should the parents get involved? Can the adults’ friendship remain intact even if the kids’ friendship does not? Since the questions are short, Nina included both. My “tweenaged” daughter has a friend who has repeatedly been less than kind. My daughter has told the girl how she feels on at least two occasions. I have encouraged my daughter to try to help her friend understand how she feels if she wants the friendship to last. Here’s the complicated part. I consider the girl’s mom a friend. Do I talk to my friend with the hope that she can help her daughter think more about my daughter’s feelings? Do I advise my daughter to put space between her and someone who continues to treat her poorly? Do I just treat my friendship with the mom separately? I tend to not avoid things, but this feels tricky because it is not just my relationship, it is also my daughter’s. Should My Friend and I Help Our Daughters? My initial instinct in response to the general question of whether a friendship can survive the children’s friendship issues is YES. My more nuanced answer is that it depends on the strength of that adult relationship and the maturity of the two women involved. If the feelings towards an adult friend are going to imitate the ups and downs of the adolescents involved, then that does not bode well for the adult friendship. We survived the volatile social norms of the tween and teenage years once already so why would we want to go through it all again? If we can’t be friends with someone when the kids aren’t getting long, perhaps that suggests boundary issues between us and our own children, as in we are too wrapped up in our kids’ experiences rather than allowing them to have their own, yes, bad feelings. I believe in helping kids learn to handle their social situations with guidance, but not with a full takeover where parents mirror the kids’ reactions. I know it’s tempting to ride the waves with our kids because we hate to see them feeling left out or mistreated. But if we are also riding the waves, then who is standing steady on the shore ready to give sound advice? As for what kind of advice to give your daughter when her friend’s mom is your good friend, I say it shouldn’t differ at all from the advice you’d give her if the other parents were strangers. Listen carefully, don’t assign blame, and help your daughter learn how to stand up for herself while treating the next person with dignity. This can take an entire lifetime! I’m 40, and I still ask my mom’s advice on relationships from time to time. Why do I still go to my mom? Because she was not a wave-rider when I was a teenager. I knew her take on a situation would be balanced and helpful and not simply an echo of what I might get from my own friends. I love how the first letter worded the advice she was considering for her daughter: “Do I advise my daughter to put space between her and someone who continues to treat her poorly?” That expression “put space” is so perfect because it is so much less dramatic and traumatic than ending a friendship and it allows time for issues to work themselves out. We certainly don’t want our kids getting treated badly just because we like the other kid’s parents. At the same time, I think it’s safe to assume that the other mom is getting a different story from her own daughter and it’s a good idea to acknowledge (especially to ourselves) that there are two sides to most stories. I prefer the idea of the adult friends not getting involved directly with the children’s friendship drama because it’s not the parents’ right or business to divulge each other’s daughter’s stories. However, not getting involved in the drama does not mean ignoring the fact that it’s happening. I think the two moms can even acknowledge that their girls are going through a rough time and that the kids’ friendship may not survive. If the adults can name the possibility of such an outcome and detach themselves before it happens, then I don’t see why the adult friendship needs to change. It may take one or two active conversations between the adults where a decision is made that they will remain friends no matter what happens with the kids. 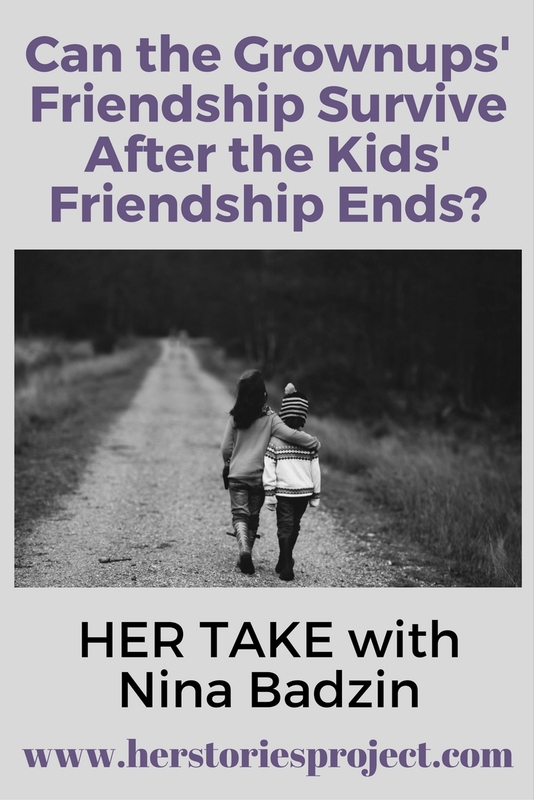 My kids have had friendship issues here and there, including with the kids of my friends, but none have ever escalated to the point of the children’s friendships completely ending. I consulted some friends of mine who have been closer to the situations described in the two letters. 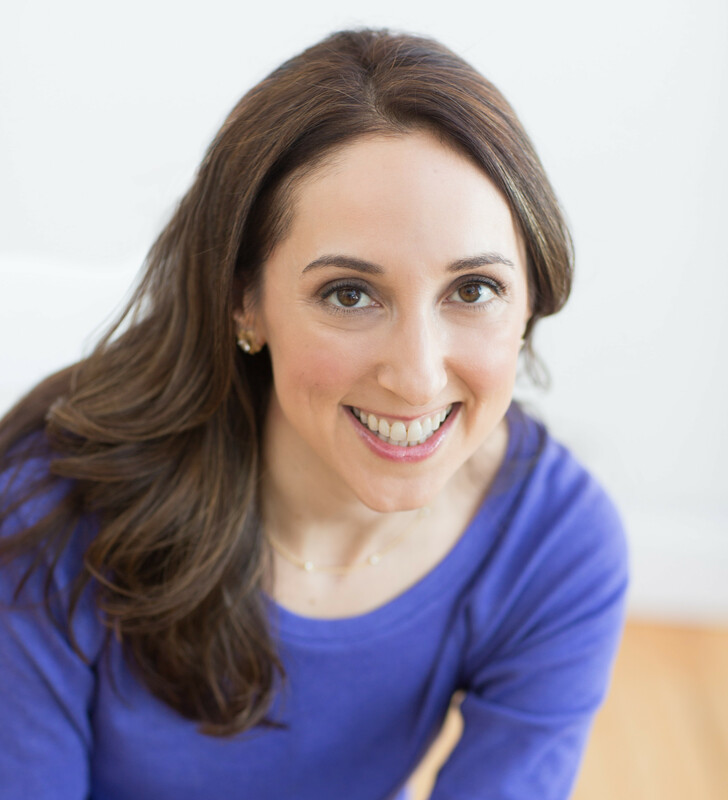 I knew that my friend Julie Burton, author of The Self-Care Solution: A Modern Mother’s Must-Have Guide to Health and Well-Being, had dealt with a situation like this before. 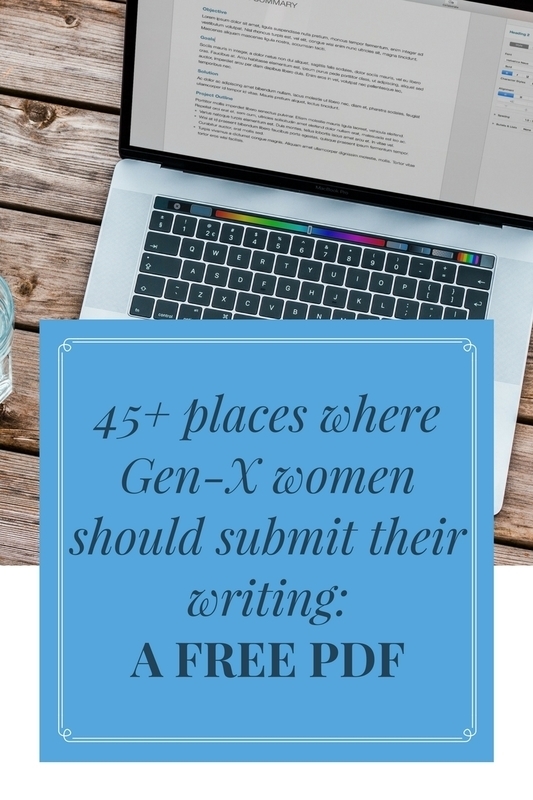 Readers, I know you have opinions and we’d love to hear them. Please comment below! You can follow our friendship advice columnist Nina Badzin on her blog, on Facebook, and on Twitter. It’s interesting to hear the different perspectives. I think I am still a few years away from these types of situations, so I don’t have any personal experience or advice to share, but it’s hopeful to hear that these relationships can survive shifts in the children’s friendships. Nice job on this, Nina. I love your advice to the adults to name the issue. As in, don’t make a deal about it, but acknowledge it. I also love your advice to teach the daughter to gravitate towards people who fill her up, but also to have compassion from afar. That’s a profound thing to teach and model for our children. I’ve been down this road with several different friends, because the bulk of my adult friendships developed between our kids first. Children will most likely grow and change more than we do as adults; so it makes sense that kids who shared a lot at one point might drift apart when they end up with less in common. I had three different examples, with varying levels of conflict between the kid-generation: one pair stayed friendly but no longer seek social interaction; one is fairly awkward but still polite; the other actually involved bullying against my daughter. In all three cases, I’m happy to report I was able to separate the adult relationships and maintain them. It wasn’t always easy but we all decided to not discuss our kids. And, as you mentioned, we were very close to begin with. For others out there struggling, it does get easier when the kids get older and independent. As always, Nina, I love your advice and the fact that you seek feedback from others. Well done! Great advice Nina. This has happened to me a few times over the years, but fortunately never anything dramatic. My friendships survived, and that actually helped Hunter stay connected to many friends who drifted away (football, baseball, etc). They weren’t close anymore, but because of parental relationships, the remained cordial ( the kiddos). Really important in middle and high school. Nina you really do have a way with this. I’m not a mother, but I still found this one interesting to read. I can certainly see how this situation would get tricky for the parents. And I love that you seek other people’s thoughts in your column sometimes. I just think it shows such openness to learn and share– what good advice should be all about. I’m nearing that stage with a few friends. Our kids became friends when they were very young and had little say over who playdates were with. As the kids have gotten older, personalities stronger, my girls have made it clear there are certain people they just don’t want to see anymore. Which kinda stinks for me because we’re always together, my girls and I. So it’ll be interesting to navigate how I’ll maintain the friendship with limited time and inquiries from the other party about getting the kids together. Some wonderful words of wisdom here. Wow, this one is a doozy. And like you said, the important ones WILL endure. My daughter has friends from preschool she doesn’t see anymore. Nothing personal – they just went to different elementary schools. In some instances, I’m still friends with the parents. In others, not. This isn’t drama, though. We’re not quite at drama level yet with my kids because they’re young, but I really need to read this again and again later. That’s a good issue to address, too! The most important friendships will endure – love the big picture perspective! I totally agree… And I love that you consulted other friends on this one. I had a situation growing up with a friend where we’d grown up together b/c our parents were good friends, but when we got to middle school I didn’t feel we had much in common and I asked my mom to stop scheduling our play dates. Or hangouts. Or whatever you call them in middle school. My mom obliged with no fuss, maintained her friendship with her longtime friend, my friend’s mother, and after a few years, I came to appreciate the friendship again, and make an effort to see my friend more. With every passing year, I am more grateful to have a friend whom I’ve known since we were babies. I am so glad my mom didn’t push our friendship when it turned out, all I needed was to step back for a year or two. “…burning a bridge doesn’t have to be a solution.” This is so true, for both the daughters and the mothers. Your advice (and that of your friends) is spot-on!